NYC’s Danny Fox Trio makes its Columbus debut at Dicks Den on Monday, May 5th, at 9pm. 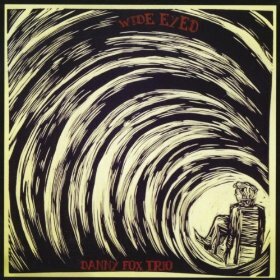 The trio is embarking on a week-long tour to celebrate the release of their brand new album Wide Eyed on Hot Cup Records (Mostly Other People Do The Killing, Jon Irabagon, etc.). Formed in 2008, the trio, featuring pianist Danny Fox, bassist Chris van Voorst van Beest, and drummer Max Goldman, has received acclaim for its 2011 debut album, The One Constant. The album showcased a young band that is somewhat reminiscent of modern piano trios like The Bad Plus, but is also significantly influenced by classic jazz and classical music. The new album promises more involved arrangements and cohesive playing from the trio. Below is an animated video for their new song “Sterling,” as well as an introduction to the boys that also features a song from the new album.